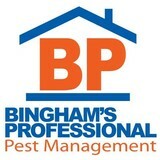 Bingham's Professional Pest Management is a full service pest control and fumigation company. Hunt Exterminating Co Inc. is a family Pest Control and Exterminating Service. For over 80 years we've provided a wide variety of pest control services including termite,bedbugs, bees, rodents, fleas, ticks, mites, spiders, and much more. We also have 24 hour emergency service. We are mobile and will go far beyond pinellas just give us a call. For a reliable Exterminator call on Hunt Exterminating Co Inc. Since 1931 'We also offer Military and Senior discounts. 'Thank you for your service. 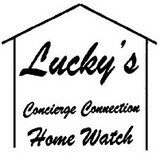 Lucky's Concierge Connection is a most trusted, professional Home Watching and House Sitting Company in Sarasota, Florida. We offer a variety of Home Watching, House Sitting, Pet Sitting, Transportation, Personal Assistant, Personal Shopper to residential, vacant homes, absentee homeowners, frequent travelers, second or third homeowners. Trust us to keep care of your home and pet at the time of your vacation or business trip. Go with us for convenient, affordable transportation services from the airport to your destination place and arrive safely on time. We offer licensed, bonded and insured trustworthy services to our clients. Contact Us today for a Free consultation. 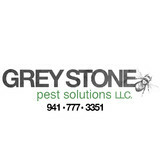 GreyStone Pest Solutions LLC. was formed by Correy Coppess after a decade in the Industry. Coming from a family of pest control technicians who instilled in him a strong work ethic he decided to continue the family business and start his own company. Having received on the job training with the "big companies" as well as formal training from the state of Florida he brings his experience and his education to each job. One of the aspects of Greystone is that each customer is given a comprehensive evaluation of their pest issues during a service. Correy walks his customers through why the problem exists, how to get rid of it quickly and efficiently as well as any other budding issues he may find while evaluating. Our customers love the personal touch of Correy being thier operator each and every service and he has formed many lasting friendships with this method. Forever Green Lawn and Pest Control is family owned and operated. We started our business in St. Petersburg in 1987, and over the years have expanded into your area and would like to welcome you. We do all pest control from lawn spraying, fertilizer, insecticide, fungicide, weed control, and pre-emergence for crabgrass control. We also do indoor pest control that is applied to the outside of the home so you will never need to be home to let me in. Our pest control services consist of feather dust all eaves, doors and windows for wasp nests, spider webs, and ants. We spray safe chemicals around the entire house eaves, doors and windows, and place baits around the perimeter of the house. All chemicals are safe and are the same ones that the veterinarians use to dip dogs and cats. Address : 2316 72 Ave E., Sarasota, Fl 34243, United States Phone : 941-756-9301 Email : grant@greenedgeflorida.com Website : <a rel="nofollow" target="_blank" href="http://www.greenedgeflorida.com/">http://www.greenedgeflorida.com/</a> GreenEdge can protect your home’s lawn and landscape from Florida’s toughest pests. Our services keep your lawn, palms, trees, citrus and ornamentals thriving all year. GreenEdge Prides Ourselves on Using Best Management Practices For A Healthy Landscape. We offer Lawn Care & Maintenance, Shrub Care, Palm Tree Care, Citrus and Fruit Trees, and care for ornamentals. We are your plant health care experts, specializing in palm nutrition and citrus health. Control Your Lawn & Garden’s Toughest Pests. Defend Your Landscape From invasive Insects including The Rugose Spiraling Whitefly - Southwest Florida’s Newest Pest. Why Choose GreenEdge? We utilize the most current scientifically based, best management practices and technologies including organic pest control solutions. We are professional, ethical and responsible. Shireman Pest Control is a family owned and operated business located in Dade City, FL. We are licensed, bonded and insured to offer full service pest control and termite treatments. Seven Brothers Pest Control Inc. Combining years of experience with a dedication to client satisfaction, Seven Brothers Pest Control Inc. has established itself as the local leader in the following Specialties: Residential Pest Control, Ants and Cockroaches. When it comes to Residential Pest Control, Ants and Cockroaches, no one compares to Seven Brothers Pest Control Inc. With years of combined experience, Seven Brothers Pest Control Inc. has worked hard to build the trust of our clients in North Port, Venice, Port Charlotte, and beyond. Visit our website to learn more. Or better yet, click the link and call us today! A All Animal Control of Tampa, FL is a nuisance Wildlife Management company. We proudly serve Tampa, Clearwater, Brandon, Largo, St Petersburg, and the surrounding communities. Call for animal removal and control services in Tampa, FL. We specialize in the control and removal of bats, snakes, squirrels, raccoons, mice, rats, beavers, opossums and skunks. We provide animal removal. A All Animal Control of Tampa has expert animal removal professionals who are capable of removing nuisance wildlife animals from your home or property including: Bats, armadillos, squirrels, beavers, birds, raccoons, rats, rattlesnakes, rodents, moles, bobcats, coyotes, deer, foxes, gophers, mice, opossums, pigeons, pocket gophers, starlings, snakes We are a full service wildlife management company. For assistance with animal removal and control of we’re just a phone call away.. Tampa Wildlife Control We will work effectively and efficiently for animal removal and wildlife control. We can clean up and sanitize any affected areas. Tampa wildlife professionals can provide home repair. We can repair the damage done to your home or business and install preventative measures, such as dryer vent covers and chimney caps. Beware of companies that are not licensed and insured or charge a ridiculously low price for wildlife control. These are red flags that the company is not qualified, insured or licensed. If they damage your property or become injured on your property, you may be held liable! Call A All Animal Control of Tampa, FL for an expert wildlife removal professional. We are skilled at removal, control, and trapping of nuisance wildlife in Tampa, Clearwater, Brandon, Largo, St Petersburg, and nearby cities. Our business is our livelihood but it is also so much more. Best Pest & Termite Control Inc was started to fill in a void in the current market and to make a business that people can place their trust in. Over the years we have never lost our commitment to our clients and that is what has allowed us to succeed in a very competitive industry. The employees of Best Pest & Termite Control Inc stand committed to our purpose and will provide the best service! License # JB4914. 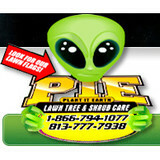 For all your pest control needs, call us first! You’ve stomped and sprayed, trapped and poisoned, cleaned and wiped down, but those pesky bugs and rodents continue to find a way into your home. In the dark, hidden places of your home, cockroaches and spiders are multiplying faster than you can get rid of them. It’s time to call in our experts. 1st Florida Termite & Pest Control, LLC is a family-owned business Kenneth City, FL. We’ve been exterminating pests for homes and commercial properties in the area for more than 10 years, but we have more than 20 years of experience. Contact us today to get rid of your pests and keep them away for good. WE DEAL WITH YOUR TOUGHEST BUGS AND SMALL RODENTS Our treatments can eliminate pests from the home and stop them from returning. We can handle: Termites Rodents, including rats and mice Ticks, fleas and mites Talk with us now to get a free home inspection and estimate! PROTECT YOUR FAMILY’S HEALTH A pest infestation in your home can be annoying, but it can also be a health hazard for you and your family. Cockroaches can carry E coli and salmonella on their bodies, tick bites are known to cause Lyme disease and ants can contaminate your food – not to mention the allergic reactions that bees can cause. Let us exterminate those pests now to keep your family healthy and happy. Unwanted guests are never fun, especially when you can’t ask them to leave. Luckily, Saint Petersburg pest control companies have no problem kicking them out. Whether there’s a rodent in your basement or insects in the attic, call your local Saint Petersburg exterminator to take care of them — do not try to wrangle them out yourself! Not sure which type of home pest control service in Saint Petersburg, FL can tackle your issue? Read profiles and ask about their past experiences to get a good idea.